There’s another 10 Battle Stars hidden in the Fortnite map, and you’ll need to find a map in Anarchy Acres to begin your treasure hunt. To find the 10 Battle Stars, firstly head to Anarchy Acres where you’ll find this map in one of the open barns. 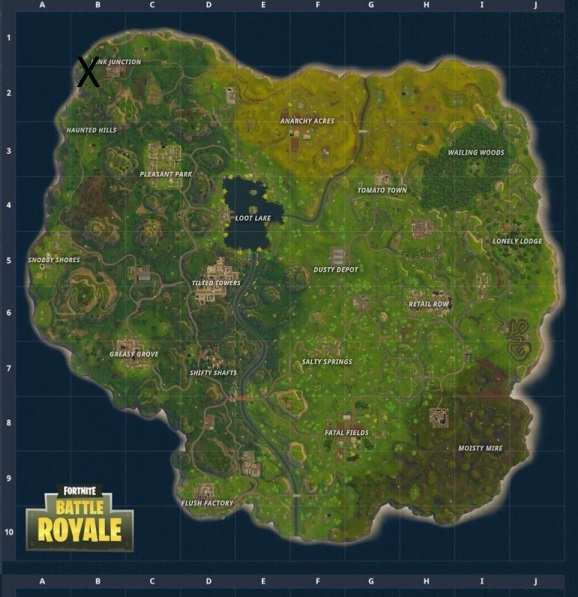 From that simple map you can see the spot you’re looking for is South of the giant llama and West of Junk Junction. You’ll see a big rock sticking out of the ground and it’s here you’ll find the hidden Battle Star. The post Fortnite Anarchy Acres treasure map location appeared first on VG247.